I-74 to South on SR101 thru Sunman to Left on Edgewood Dr. On Right. 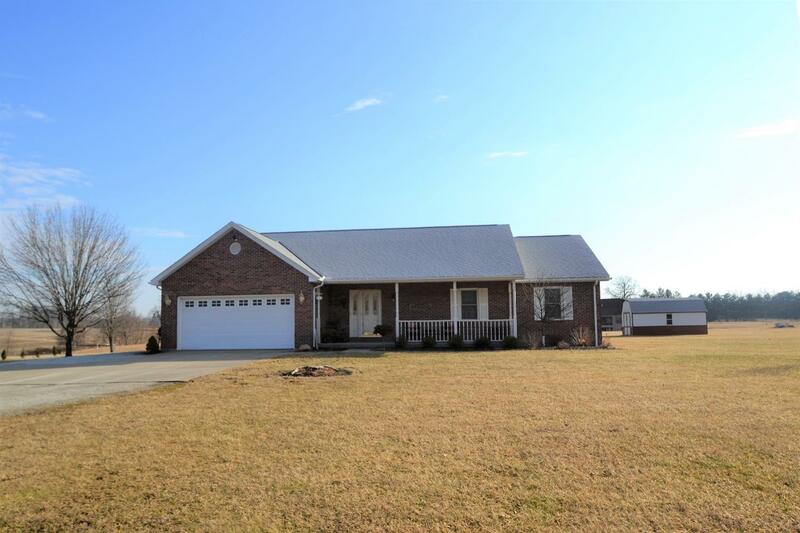 Immaculate brick ranch with OP FP, cath ceils, wood/gas FP, 1st fl Laund & screened porch. LL W/O w/in-law suite, FR, Eat-in Kit w/counter bar, BDR, Full Ba+unfin storage. 1.5AC lot, 24x30 Polebarn w/elec, water & office. '17-Roof, Wnds, WaterSoft, Attic Fan, Grinder Pump,'15-Ref, Dbl OV, MW. '14-Refin. LL.,'13 Scr Prch. NOTE: This property was sold on 4/21/2018 and is no longer available. The details listed below are believed accurate to the date of the sale and are subject to change.